I used Rosenthal Architectural to draw up plans for a single storey extension to my dining room together with a front porch. The project is now complete and is to my entire satisfaction. From the outset Rosenthal were extremely helpful and, having taken careful and detailed measurements, drew up excellent plans for the project. I had little experience of dealing with planning authorities etc. but they took care of all the necessary submissions and were able to obtain planning approval quickly, with very little input on my part. They also recommended builders and surveyors which again meant I had the minimum amount to do. From the outset I found Les and Lee to be very knowledgeable and extremely helpful, their fees (VAT free) were, in my opinion, very reasonable. 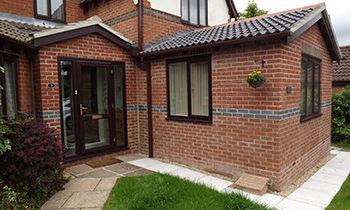 I would have no hesitation in recommending this company for domestic building works.